Part One: The fall of the Western Empire and its abortive reconquest, c. 450 to 602. Part Three. 751 to 840. Part Four. The Viking threat to western Europe, 840 to 962. Part Five. The emergence of feudal Europe. 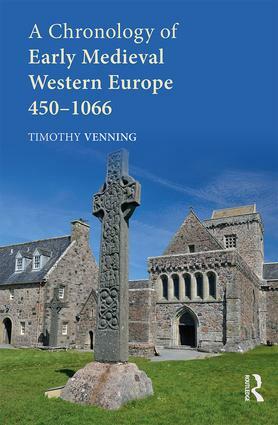 Timothy Venning is an independent scholar. His previous publications include A Chronology of the Crusades (2015), A Chronology of the Byzantine Empire (2006) and A Chronology of the Roman Empire (2010).